Annellen M. Simpkins, PhD. and C. Alexander Simpkins, PhD. are clinical psychologists and authors who work in close collaboration. They specialize in neuroscience, psychotherapy, meditation and hypnosis. For the past 15 years they have been involved in translating neuroscience research findings into practical approaches and integrating it into practical treatment approaches. Drs Simpkins have been practicing psychotherapy for more than three decades and have taught their meditative and hypnotic methods to facilitate mind-brain change to practitioners and clients. Between the two of them they are the authors of 26 books, many of them bestsellers. Their books have over 20 foreign editions and have won numerous awards. Some of the titles are: Neuroscience for Clinicians (Springer, 2012), The Dao of Neuroscience (Norton, 2010) and Neuro-Hypnosis (Norton, 2010). 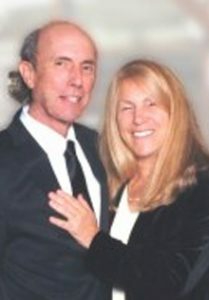 Drs Simpkins are well known and experienced presenters who have presented their seminars throughout the USA and internationally at conferences, hospitals and mental health facilities.